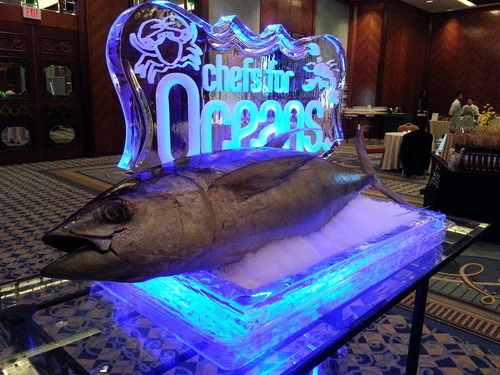 A great time was had by all at the Chefs for Oceans event this past Friday evening at the Four Seasons Hotel in Vancouver! 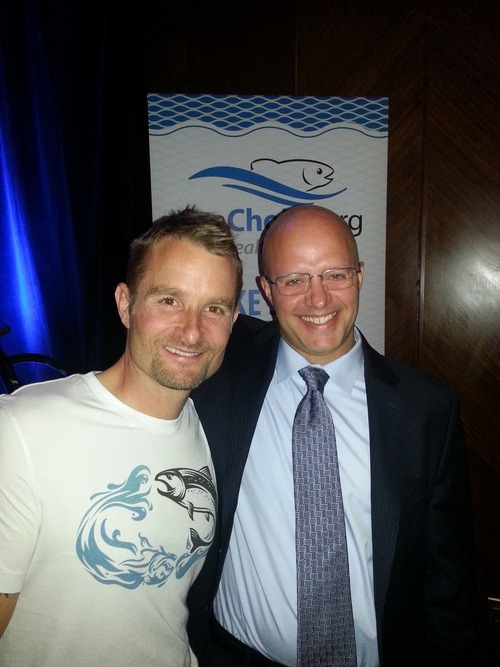 SeaChoice and Ocean Wise put on a great event to celebrate Chef Ned Bell’s return from his ride across Canada…. on his BIKE! On July 1st, Chef Bell started his journey from St. John’s, Newfoundland and spent the subsequent 2 and a half months cycling across the country in an effort to raise awareness for sustainable seafood. Rain or shine, wind or calm, he was out there pedaling! We are so pleased to have been a part of the event and to share our Artesmar Tuna and Selva Shrimp with the sustainability-minded attendees. 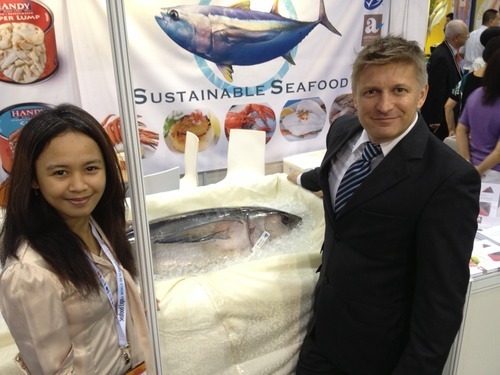 It’s been an exciting 3 days at the Seafood Expo in Hong Kong! 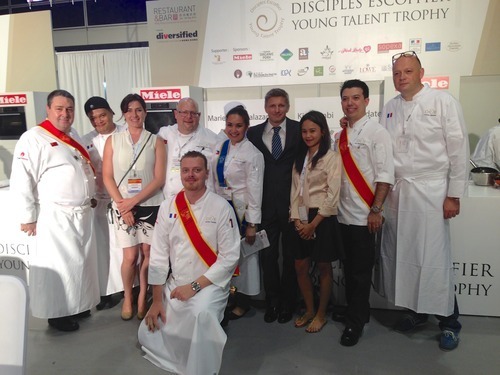 Our feet are sore from running back and forth between the booth that we shared with our friends and Hong Kong distributor, Family Care, and the Disciples Escoffier Young Talent Competition, but it’s been worth it - what a great time! We are thrilled that our Artesmar® tuna has been featured and well received by all the talented, aspiring chefs taking part in the challenge (representing the Philippines, Thailand, Vietnam, South Korea, China, Singapore, Macau and Hong Kong). In the showroom, sustainability is clearly on the minds of many attendees and support and interest in the Artesmar® programme continues to gain momentum. Thanks, Hong Kong! We look forward to next time! We are thrilled that Artesmar® recently took part in VASK’s Gallery Kulinarya in Manila! The Gallery Kulinarya is a gastronomic lecture for which Chef J. Luis “Chele” Gonzalez and Chef Julieta Caruso travelled around different parts of the Philippines to source and experiment with local flavors as well as native produce. The seafood products used were Artesmar® products from local sustainable small-scale fisheries in the Philippines (tuna cheeks and sea urchin)! With a growing number of supermarket chains making commitments to sustainable seafood sourcing, Greenpeace Canada helps consumers to determine how each is measuring up with its annual report: Protecting Our Oceans is Everyone’s Business: Ranking Supermarkets on Seafood Sustainability. In the recently released 2014 report, Blueyou Consulting’s Selva Shrimp® black tiger prawns were featured under the profile for Overwaitea Food Group (OFG). OFG has made some positive sourcing changes that have been praised. Namely, OFG received a “Kudos” for having replaced some of its red-ranked tropical shrimp with Selva Shrimp®, which is Ocean Wise approved and ranked a green “Best Choice” by SeaChoice and the Monterey Bay Aquarium’s Seafood Watch Program. Selva Shrimp® black tiger prawns are sustainably raised in mangrove forests in southern Vietnam, allowing for the farming of shrimp without cutting mangroves. By maintaining a functional ecosystem of mangrove forests and aquatic species, shrimp are raised using the natural productivity of the surrounding forest habitat with no external inputs such as feed, fertilizers and chemicals. In addition to offering a sustainable seafood choice, the Selva Shrimp® program also creates a direct link between consumers and small-holder farming communities in Southeast Asia that creates economic incentives to support and improve the conditions for small-scale shrimp farmers and the more effective conservation of mangrove forests in coastal habitats. The Selva Shrimp® initiative ultimately aims at achieving the standards of the Aquaculture Stewardship Council (ASC). In the interim, a set of transparent criteria is used as guidance for the aquaculture improvement process, which also involves the development of an internal control system (ICS) for farm clusters. A recent article in The Atlantic reported that a staggering 1,800 pounds of seafood are taken from the ocean every second. IUU fishing is a very serious problem globally, which presents governments with significant challenges in both importing and exporting countries. In the EU’s efforts to fight against IUU fisheries, the Philippines recently received a formal warning to address its illegal fishing issues or face potential trade restrictions. More details straight from the European Commission can be read here. While tackling global IUU fishing is a daunting task, our Artesmar® Fishery Improvement Project in the Philippines delivers the required solutions and offers a big step in the right direction. In the wake of the news around the downgrading of Thailand to Tier 3 in the US Trafficking in Persons (TIP) Report due to continued concerns around slave labor and human trafficking, consumer confidence in shrimp products from Southeast Asia is low. At Blueyou, we consider the social impacts related to seafood products to be as important as their environmental performance. Our black tiger shrimp perform well on both fronts. With no need for feed or chemical inputs, Selva Shrimp® is happily unassociated with the frightening realties of the feed industry and conventionally farmed shrimp! We are pleased to have our Selva Shrimp® program and our Ecuadorian shrimp project featured on the FIT Fund’s Best Practices list! We would like to extend a very warm welcome to our new Vietnam-based team members, Linh Gia Dinh and Tuan Hoang Nguyen! We are excited to have them on board and look forward to the valuable contributions their experience will bring to our company. Environmentally speaking, farming fish in recirculating systems can be a good thing; however, this method often comes with the side effect of meat possessing an “earthy” flavour that many do not like. Blueyou is working with Space Taste to help find solutions for the aquaculture industry so products from this environmentally preferable means of production become more desirable in the marketplace. Environment, communities, and business can co-exist sustainably, according to a recent Forbes article.